The collection of sites below represent a growing list of resources about and for Puerto Ricans, including repositories with additional primary and secondary sources and active organizations focused on Puerto Ricans and other Latinos. The collection focuses on documenting Hispanic/Latino history and culture on Long Island. A resource for genealogical research in the mid-Atlantic region, the society has the holdings of the Balch Institute for Ethnic Studies and an extensive collection of material documenting ethnic communities. Library”s collection reflects the school’s historical role in educating students from diverse ethnic, racial, cultural, and linguistic backgrounds particularly Hispanics and African Americans from South Bronx. A non-profit, community-based umbrella institution, which seeks to serve the social/cultural needs of Chicago’s Puerto Rican/Latino community. This site encompasses historically important writings by prominent Puerto Rican political activists and historians dating from approximately seventy years before the Spanish-American war (1831) until some thirty years after it (1929). Among these are soldiers' reminiscences about the conflict and short histories designed to acquaint an American audience with Puerto Rico in the earliest years of its affiliation with the United States. A three-tier project that includes: the Sala Hispanoamericana - home to the largest collection of Spanish-language library resources in New Jersey, the Puerto Rican Community Archives - a collection of primary resources focusing on the history, culture, and contributions of New Jersey's Puerto Rican communities, and the Hispanic Reference Center - a research-level center aimed at the special needs of students and scholars. Preserves and provides public access to historical and contemporary records and information about New York City government. 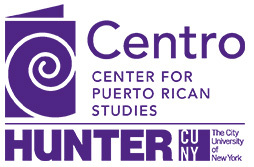 A collection of material from the Centro Archive is available online alongside material from repositories throughout New York State. This material was digitized as part of the Ventana al Pasado: Building a Latino/Hispanic Virtual Research Collection, a joint project between the New York States Archives and the Centro Library and Archives that was funded with a grant from the National Endowment for the Humanities that intended to develop a Web-based virtual research collection linking the Latino-related holdings of nine state and local government, academic, and community-based repositories in New York State. Grade level lesson plans and educational projects on the history of Puerto Ricans and other Latinos in New York State developed initially as part of the Electronic Schoolhouse/ La Escuela Electrónica project. A not-for-profit organization which was founded in 1993 by a group of NewYork based Puerto Rican artists. MediaNoche is directly linked to the oldest Latino community of New York City, Spanish Harlem, and has showcased a roster of local and international new media artists. Nonprofit Artist Workshop, Event Space and Gallery at the Julia de Burgos Latino Cultural Center in New York City. Taller Puertorriqueño was established in 1974 by Latino artists and activists in the North Kensington area of Philadelphia.